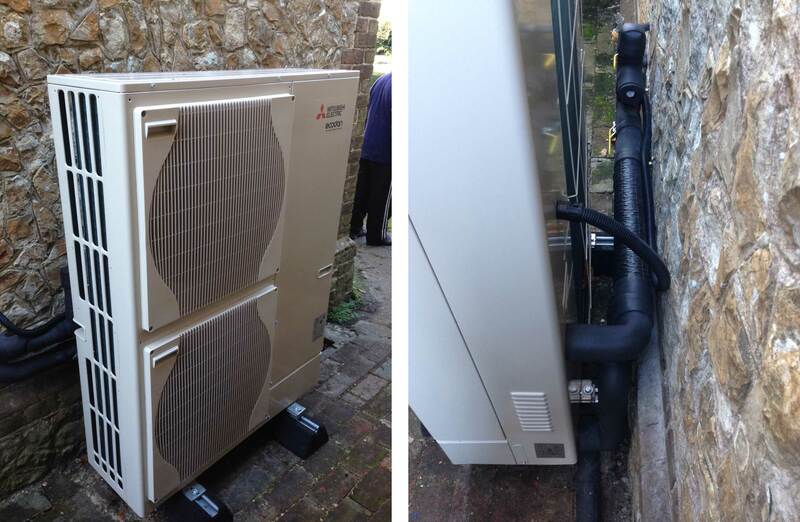 BSW recently completed an air source heat pump installation at a Grade 2 listed property in Amberley, Sussex. The customer contacted BSW to replace an aging and ineffective ground source space heating and hot water system. After the initial survey visit and specification had been completed BSW were able to advise the customer on the planning process and help with some of the information requests which resulted in the approval being issued for installation. 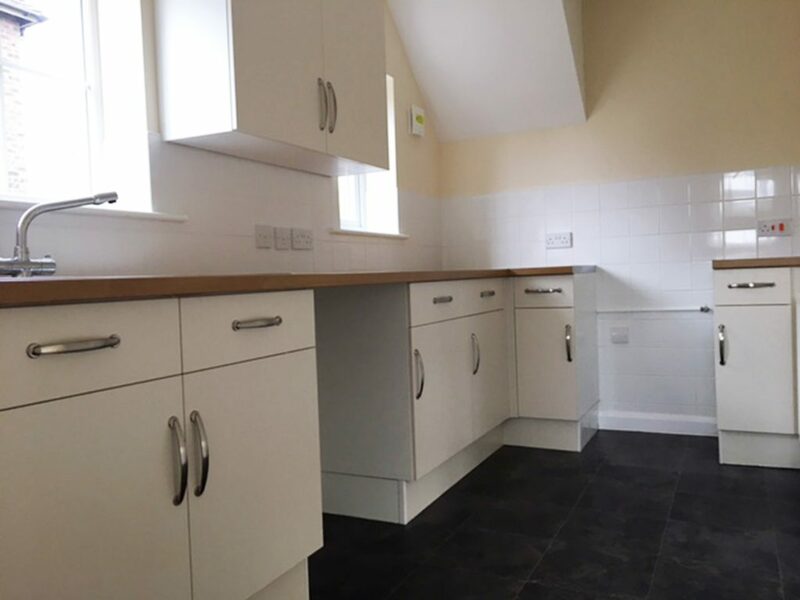 The new space heating and hot water system was completed in 3 days utilising the existing underfloor heating on the ground floor and radiators on the first floor. 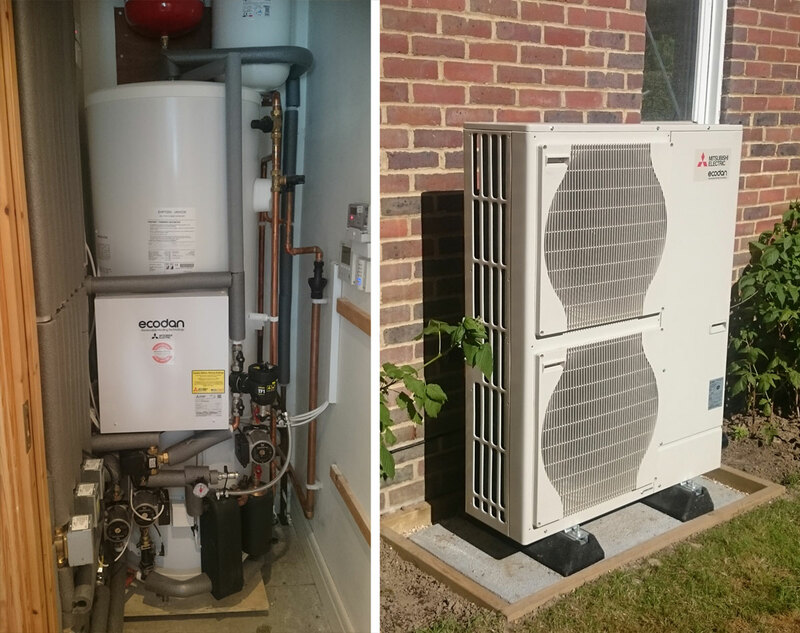 A customer in the Newhaven area decided to remove an ageing oil boiler and replace it with a Mitsubishi Ecodan air source heat pump system. The oil boiler was removed and in its place a 14kW Ecodan ASHP was installed. The existing hot water storage cylinder was replaced with a Joule High Gain 200 litre vented cylinder which is specifically designed for use with an air source heat pump. 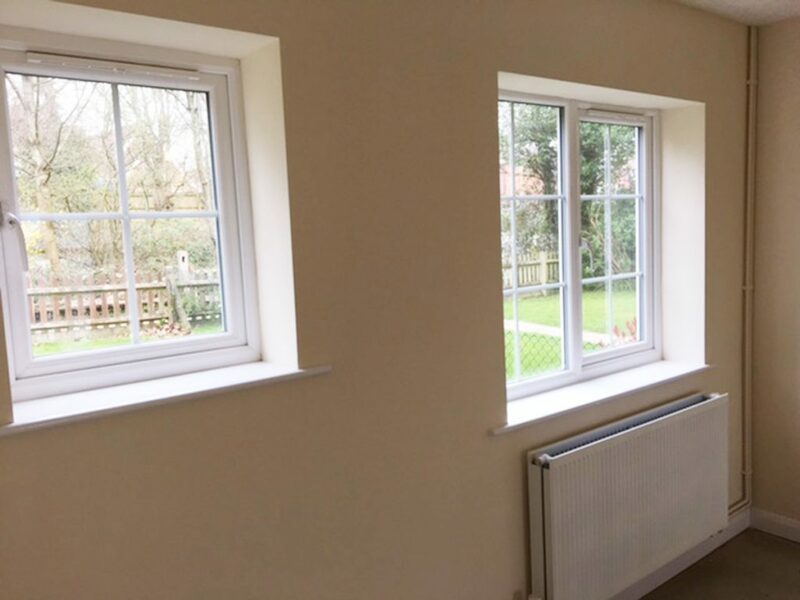 To complete the installation and guarantee maximum efficiency, 16 existing radiators were removed and replaced to ensure the correct outputs could be achieved with the lower flow temperature that an air source heat pump produces. BSW can service all LPG, oil, gas boilers and Mitsubishi air source heat pumps. 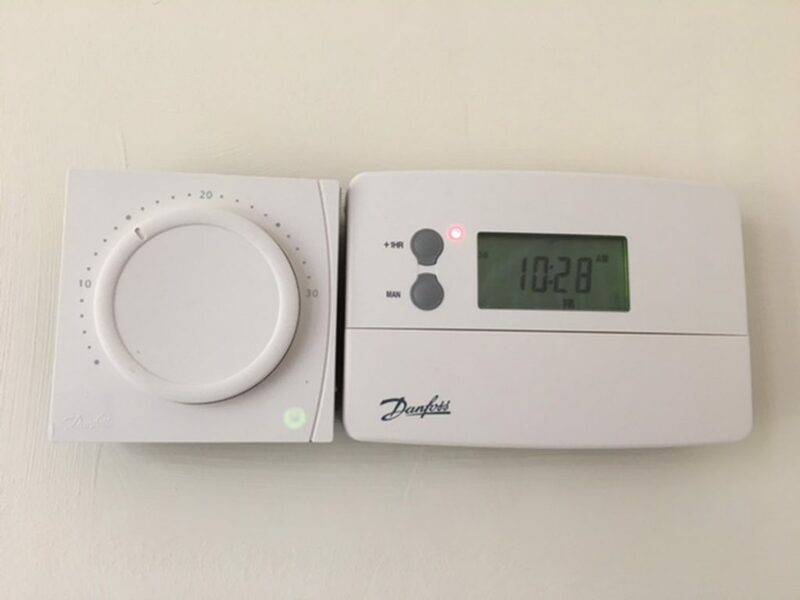 Regular servicing is very important for all heating appliances as it prolongs the life, helps with the efficiency and ultimately lowers the running costs. In addition to this, regular servicing is required to satisfy the warranty requirements of the manufacturer. BSW recently serviced a Mitsubishi 300L unvented hot water storage cylinder and 14kW Ecodan air source heat pump. 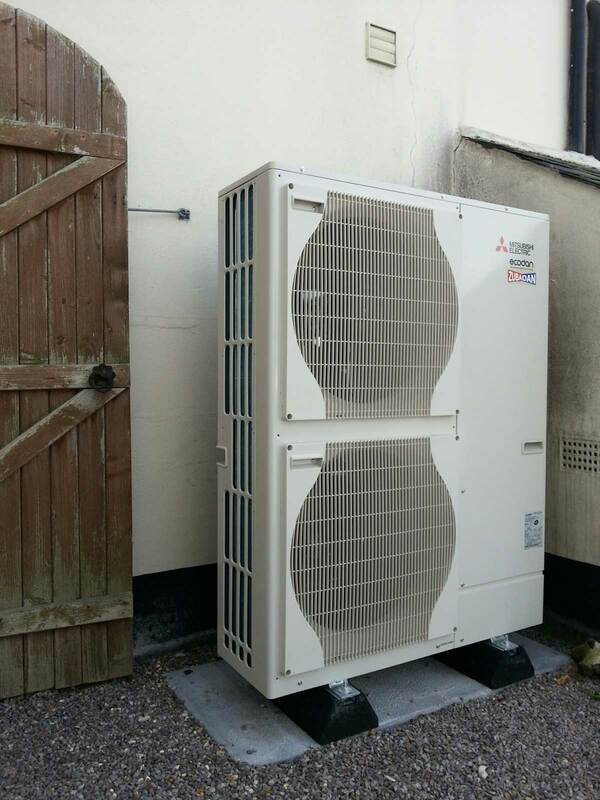 The service of the outdoor unit air source heat pump unit includes inspecting for oil leaks, checking the integrity of the external water pipework, including external insulation and inspecting the evaporator fins. The service of the internal unvented hot water cylinder and controls includes testing of the temperature and pressure safety valves, re-pressurisation of the expansion vessels and system controls and operation testing. Upon arrival it was evident that garden weeds had taken over the area behind the heat pump and had actually made their way inside the unit from below. The weeds had entwined themselves around the compressor unit, which could have damaged the electronics inside and blocked the air flow to the heat pump, leading to a significant effect on the overall performance. 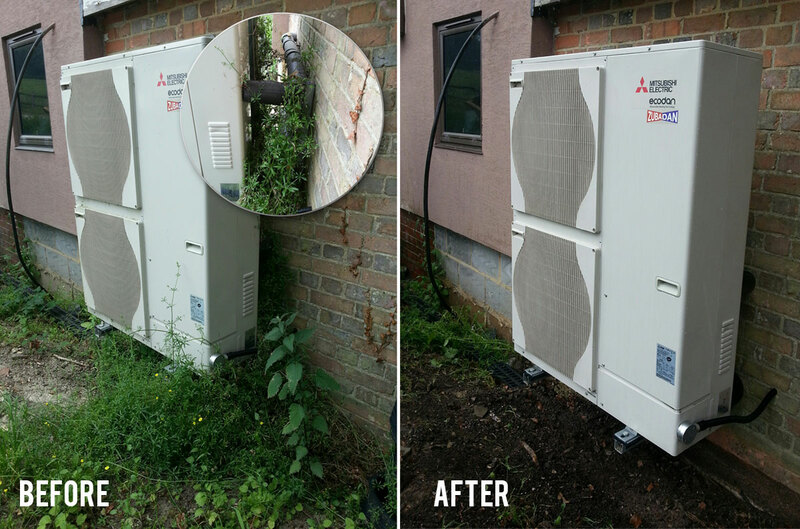 The heat pump was cleared of all debris and weeds, service completed and the customer shown how general housekeeping of the outdoor unit can help to maintain an efficient air source heat pump. A customer in Cranbrook contacted BSW as he was having major alterations to his 5 bedroom detached house and wanted to get away from his inefficient storage heaters. The installation comprised of removing the existing hot water storage cylinder and storage heaters and replacing them with a 250L Mitsubishi unvented cylinder and 11.2kW Mitsubishi Ecodan, serving a 2 zoned system comprising of under floor heating downstairs and an upstairs radiator system. Another whole house refurbishment completed for a valued client. Major damp proofing works, full electrical upgrade, new central heating, total re-plastering, new kitchen and bathroom, whole house decoration and external works including new fencing, path and gates. Full central heating system fitted in a property near Horsham. The LPG boiler system which provides space heating and hot water is backed up by a solar thermal system which provides partial or full hot water requirement, depending on the time of year, through an additional indirect coil in the hot water storage cylinder. 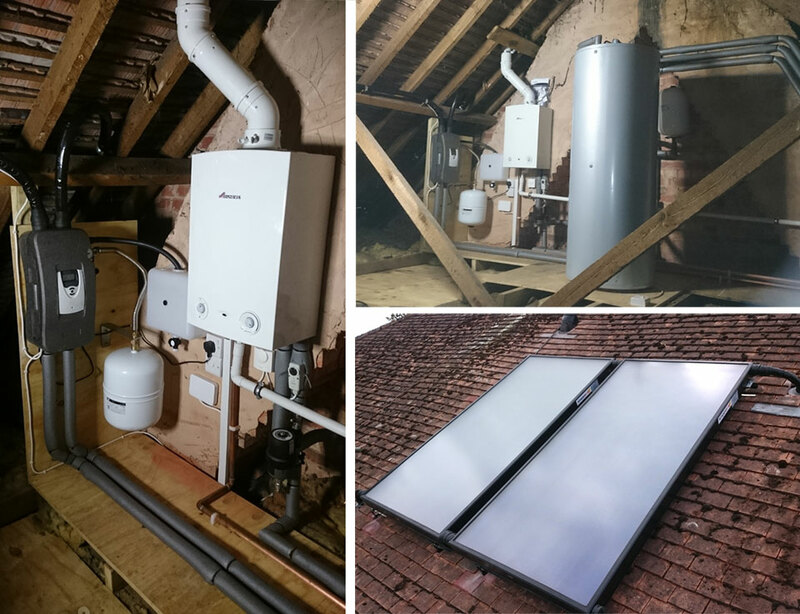 The LPG boiler, unvented hot water storage cylinder and solar thermal pump station were fitted in the loft to maximise space in the living areas within the property. The number of flat plate collectors on the roof were selected according to the hot water demand of the property. 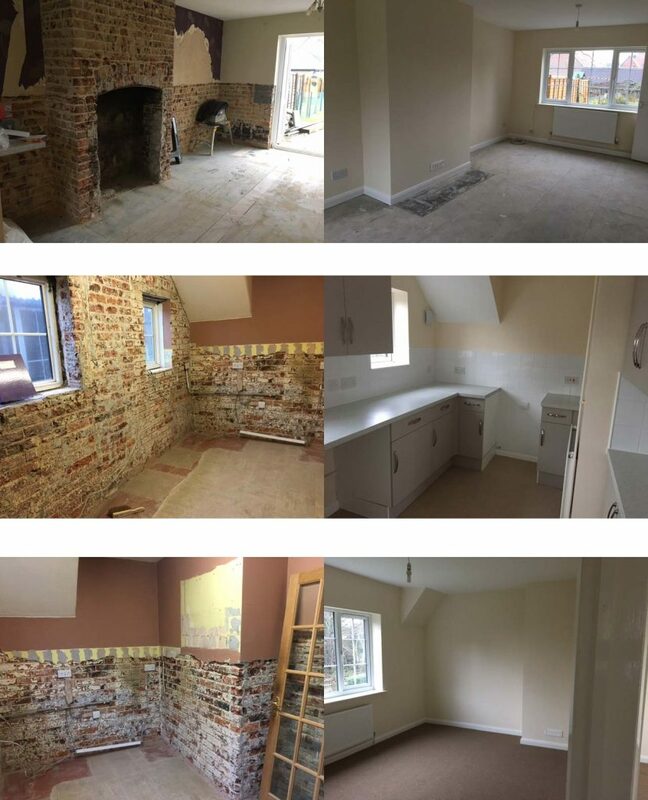 This property was affected by damp and this meant removing the affected areas back to the brickwork. The areas were chemically injected and then rendered and skimmed ready for redecoration. 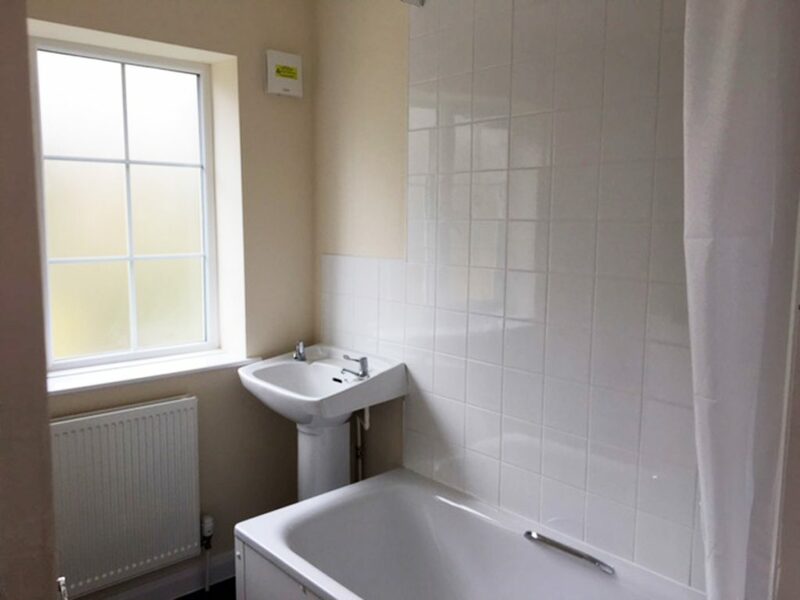 The property was then rewired (including a new consumer unit), replacement UPVC windows, replacement cavity wall insulation, wall ties renewed, new loft insulation, full redecoration and a new kitchen and bathroom. 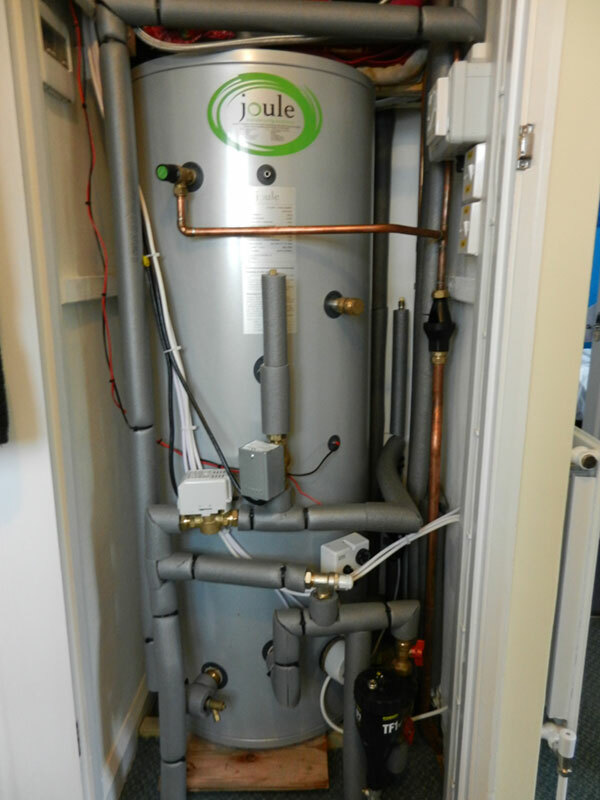 Unvented hot water storage cylinder installation for use with an air source heat pump system, note the pipework insulation which reduces, as far as possible, pipework heat loss coming from the external low temperature air source heat pump. BSW regularly have unvented cylinders custom made in a range of sizes and storage volumes to suit specific on site requirements, this allows new technology to be fitted in existing airing cupboards with restricted space, ideal when undertaking retrofit installations. 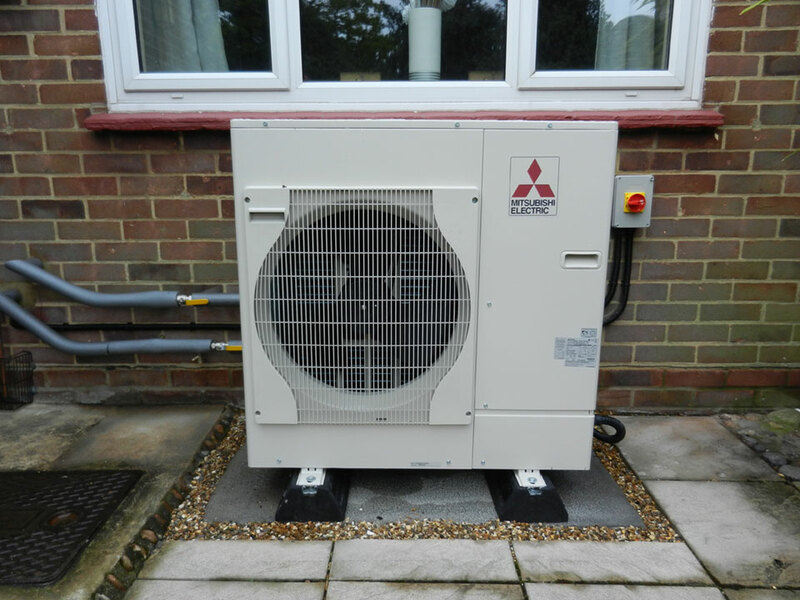 Mitsubishi 8.5kW Air Source Heat Pump (ASHP), fitted to the rear of a property on a purpose made insulated base, fitted within a shingle soak-away designed to drain away the condensate which naturally occurs as the unit extracts heat from the air. Paving slabs were lifted, cut and reinstated neatly by BSW to accommodate the new heating appliance.